A veil of sheer coconut and sea salt opens this journey into eternal summer. 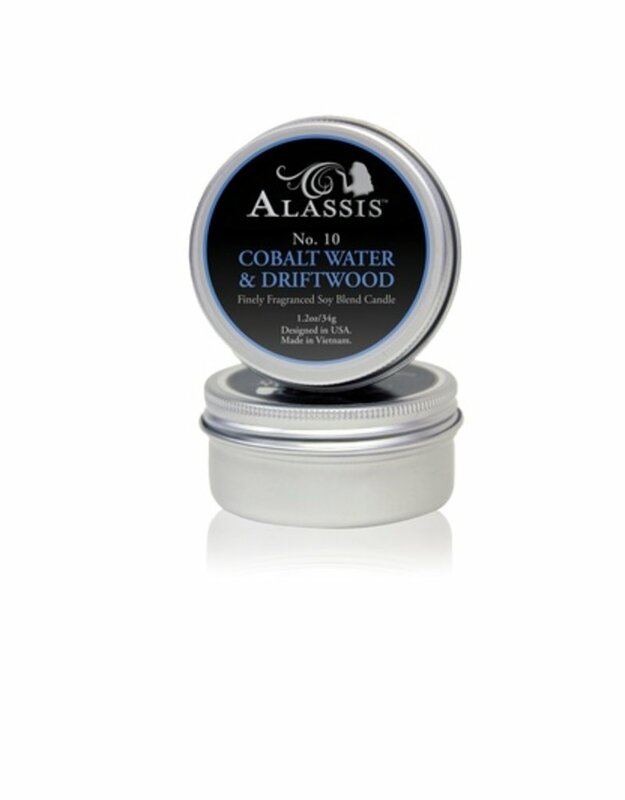 A compelling heart of seamint and lavender, washed by cobalt water, breaks onto gentle waves of clear musk, coming to rest on a bed of sun-warmed driftwood. 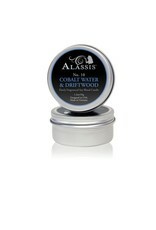 Like medicine for your mood, Alassis travel tins give any space a touch of home. Poured with a soy blend wax.